I have a very dear friend who is a good christian. She has a giving heart. I personally know that to be a fact, because she has given us money...to be passed on to others in need. She has a compassionate heart, she cares for others. She shared her story the other day with some of us. I want to share it with you today, because no matter how hard we try and how strong, faithful we try to live, we can learn God's truths everyday. I hope this story that I share with you will touch your heart, as it did mine. I hope you will be reminded, as all of us were, that God's love and truths can shine through children. We need to pay attention. "do not merely look out for your own personal interests, but also for the interests of others." Chuck E. Cheese was crowded with bigger kids yesterday, so I was trailing Caleb and we got to the little kid rides. While Caleb was riding a ride, a young boy, 5 or 6-years-old, came to me and asked, 'Would he (Caleb) like to share some of his tokens?' I immediately got stingy - I don't really know why because I didn't pay for them - and I said no, not right now. Caleb got on another ride. I stood there looking at him and I was ashamed. Why couldn't Caleb share a token? What would it hurt? So, I went to Caleb on his ride and asked him if he wanted to share a token with that boy. Caleb looked at him and said, 'SURE!' He didn't hesitate. I asked him if he wanted to give it to him or if he wanted me to do it. He said he would do it and hopped off of a MOVING RIDE to go give that boy a token. Caleb gave the boy his token and took off. He didn't really realize what he had done or that I had almost robbed him of the gift of giving. I pray he never finds out. The little boy looked up at me and said, 'THANKS! He's a bucket filler!' I heard the words he said, but I didn't comprehend them, so I leaned in and said, 'What?' He repeated, 'He's a bucket filler!' I wasn't familiar with that phrase, but I caught the gist and the way he said it touched my heart deeply. I fought tears as I went to find my little bucket filler again because he was off to the next game - oblivious to how his actions had affected me. What a lesson and a blessing, y'all. My heart swelled from the little boy's enthusiasm at Caleb's 'token' gift and from Caleb's unabashed willingness to fill that little boy's bucket. 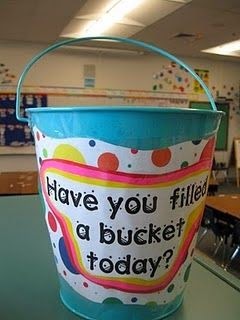 I googled 'bucket filler' and found this: A Bucket Filler is someone who says or does something nice for other people. How fantastic is that?! God used that little boy and Caleb to soften my heart and show me what I need to be: a bucket filler. Let us all learn this lesson and get out of our ruts and be a 'bucket filler'. I don't want to be just a dipper, I want to fill a bucket! Some people enjoy the mountains and the woods, but for me it is being on the water. 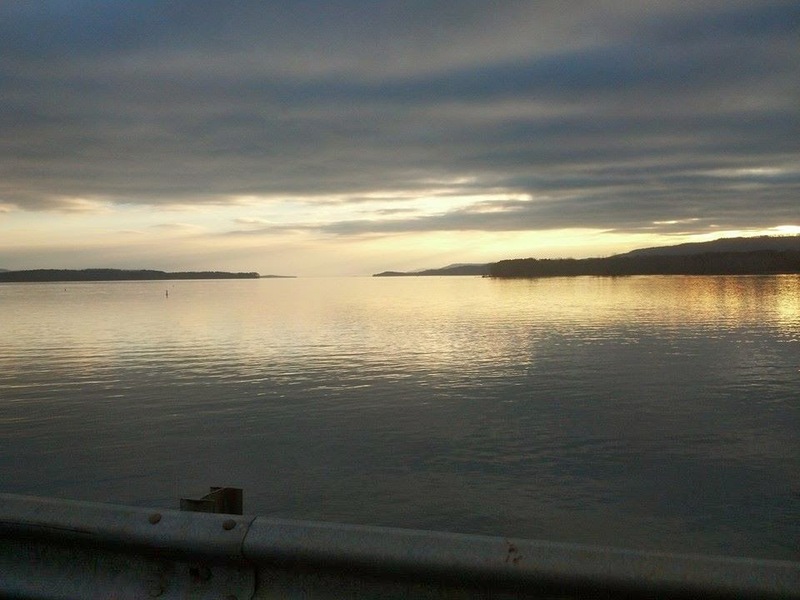 I love the peace and serenity of the water. I enjoy fishing more than eating them. Just the challenge of feeling the tug at the other end of the line and knowing I may win the battle! I think Jesus enjoyed being around the water as well. Didn't He go to the fishing boats to recruit his disciples? Didn't he preach from a boat? People need water for many reasons, drinking and cleansing for the physical body, but also the spiritual body is referenced in His Word. The scriptures say in John 4:1 "But whoever drinks from the water I give him, will never be thirsty again" and in Ezekiel 36:25 "I will sprinkle clean water on you, and you shall be clean from all your uncleanness." John 7:38 "Whoever believes in me, as the Scripture has said, ‘Out of his heart will flow rivers of living water" tells us He is alive in us. We have the promise of Him being with us in the storms Isaiah 43:2 "When you pass through the waters, I will be with you; and through the rivers, they shall not overwhelm you; when you walk through fire you shall not be burned, and the flame shall not consume you." There is a lot in God's messages to us about the waters. Maybe that is why I feel so peaceful when I am by the water. When we started looking for a house, when my husband retired, we searched the internet for a house on the water, a place to relax and enjoy. We have been out in the fishing boat and we don't have to say a word, just enjoy the beauty of creation. Sometimes, God will allow us to see Him, like the day we saw a doe and her fawn playing in the edge of the water as we drifted pass. They did not even notice we were there, as they drank and splashed nearby. Water is needed for survival on this earth. Organizations are in many places, bringing fresh, clean water to villages. In this same manner, the water Jesus spoke of is needed for eternal life. After a very prominent attorney accepted Christ one day, he told me he felt warm and filled inside, but he said he couldn't explain his physical feeling. I was able to share with him, that he is now filled with the true living Spirit of God, that he now has the living water that Jesus was talking about flowing through his veins...like the blood of Jesus. He got so excited, knowing that the One true God lives in him now! The scriptures guarantee that this water will be with us through eternity, Rev. 22:17 "Then the angel showed me the river of the water of life, bright as crystal, flowing from the throne of God and of the Lamb." My husband and his family used to sing this song....and it radiates the warmth of Christ. Along with people around the world, we all watch the news in anticipation of what happened to Malaysian Flight #370. The sad, broken hearts and faces of families and friends, still clinging to hope across the television screen, penetrates our homes. How can they go on, not knowing what happened or where their loved ones are? Questions and more questions in their minds and no answers to be heard. There will be another time of people disappearing from the face of the earth. The Lord Jesus will return to take His children home, we call this The Rapture of the Church. There will be meals left cooking on the stoves, shoppers disappear in the stores, drivers of vehicles vanish, babies taken out of their strollers, highchairs and even the wombs, utter chaos around the world. The confusion of the Malaysian plane has hit the news big, which it should. It had 239 people on board, now missing. The mass millions of Christians missing will be confusion like mankind has never seen, except for those that are caught up in the air. 1Thessalonians 4:16-17 "For the Lord Himself will descend from heaven with a shout, with the voice of the archangel and with the trumpet of God, and the dead in Christ will rise first.Then we who are alive and remain will be caught up together with them in the clouds to meet the Lord in the air, and so we shall always be with the Lord" assures us of the promise of His return. The searching for the passengers and the plane will continue in the next weeks, days and months, until something is found. But the day of the rapture, many will know, because they have heard this spoken of by parents and pastors through the ages, but did not believe. When flying on a plane, we know the 'risks' of a crash, they give you the safety tips prior to take-off and you can always review the card in front of you. As Christians, we hear the Word preached and can always read the scriptures and hear about the signs of the end times. According to the scriptures and everything I believe, as well as many scholars, there is nothing else to be fulfilled before the return of Christ and the Rapture. It is like, ok folks, it is time to buckle up, get out your floatation device, we are going down...but instead of down, we are to look up..because that is where we are going. Luke 21:27-28 "Then they will see the Son of Man coming in a great cloud with power and great glory. But when these things begin to take place, straighten up and lift up your heads, because your redemption is drawing near." The question remains, where are those that are missing? What about the ones left behind? I don't have the answers for the plane's passengers and crew. Neither do I have the answers for how the families and friends of those missing will handle and endure the heartache. But I do know about those that will be raptured by the Son of Man, for they will be getting ready for the Feast in Heaven, celebrating around the Throne. Those that remain, because of unbelief ....need to prepare for a great tribulation. 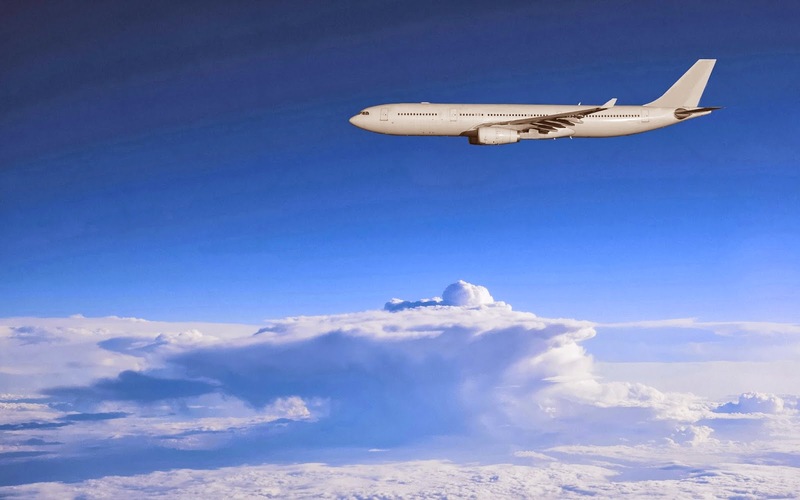 If you are reading this blog, your name was not on the roster for flight #370. But, you could be reading this blog and your name is not written in the Book of Life, which is those that have repented, accepted and believed in the Son, Jesus Christ. One flight you were not on, but the next, you want to make sure not to miss. If you have any questions or do not know Jesus, please contact me for more information. The main thing to know is that He loved you so much, He gave His life for you. (John 3:16) It is easy to know Him. Pray, repenting of your sin, (we all are sinners) and ask His forgiveness. Ask Him to become Lord and Savior of your life. He will write your name in the Book of Life, seal it with His blood. You are ready to fly! If you do this for the first time, please write to us at gingersanders.com and let us know. If you have prayed to receive Christ already, we will meet you in the air or around the Throne. Buckle up and look up! He is coming! We have a preacher friend who would look at a baby and say, "Boy, y'all marked that pup!" He never thought newborns were 'cute' so he just always said the same thing. Let's think about the work 'mark' for just a moment. 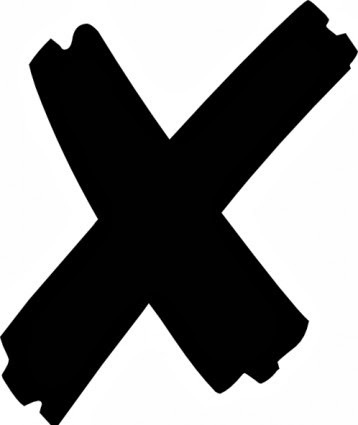 It's meaning is: a streak or defining line, to make visible, write a word or symbol for identification. I used to think when the kids dropped something on the hardwood floor "it gave it character." Boy, my floors in the old house had a lot of character! We have heard people say about someone, "They made a mark on my life." What about you? Is your life a 'mark?' Think of the life of Jesus, it certainly made a mark on a lot of lives. His hands, feet and his back have the scars, or marks, showing how much He loved us. When I think of dying, and we all will (unless Jesus comes first), I hope just maybe one person will be able to say I left a mark on their life. Some people die and it is sad that they die alone. Their life accounted for nothing to anyone else. I don't think that is why we are here on this earth. We are here to tell God's story, to share with others His love. He wants us to be like Him, that means touching other lives. He has a plan for each of us, some to be great evangelist like Billy Graham, some to be great missionaries like Lottie Moon, but others to be the simple Sunday School teacher that takes care of the babies in the nursery so the parent's lives can be touched as they go to learn about Jesus. He asks us to live in His plan, to be obedient to Him. This does not mean we will live perfect lives, with no marks on it. We all will have trails in our journey. But those trails and marks on our lives, is what gives us character. They help to grow us to what He wants us to be. Yes, there can be tough days, but we should let the healing begin by leaning on Him. Seeing how this mark in our life will glorify the Father. Can you remember an event that happened and you know where you were the moment it happened? For instance, 9/11 when the planes hit the towers and the towers came down. It still makes my stomach go sour. That event marked our lives. We didn't stop living that day, but it changed the security and methods we do things. We grow and move on, we cannot cling to the pain. If we cling to the hurt, we cannot help others...we are no good to the Father. Think about the 'mark of the beast' that is spoken of in the bible. What does it represent? According to Revelation 13:15-18, it is the mark of the Anti-Christ. It will be put on the foreheads of those who worship him, in opposition of God. Sometimes you can see a Christian and they have a glow about them and we recognize the Spirit that lives within them. I guess you could say that is their mark. What about you? Are you leaving a mark in someone's life? Has Christ 'marked' you, so when others see you, they can see Jesus? When people walk by the 'marker' in the cemetery with your name on it, will it make a difference? Are you leaving a mark on this earth, one life at a time? Start out today, tell someone that you love them. It does not have to be verbally, it could be a kind gesture. Just one step at a time, one day at a time, Christians can leave a mark...a footprint in time. Let us be the ones that have the mark of Christ on us. Let us be the ones that make a difference while we are on this earth. We have been on deployment with the Billy Graham Rapid Response Team this week. As chaplains, we often hear despair after losing a home to a tornado or a flood. But this deployment was different, and we are realizing several had storms already in their lives. This was the ice storm that hit S.C., heavily damaging the beautiful trees and the beauty of His creation. It reminded me of man, made perfect in the garden. God created man and woman to communicate with and walk with in the garden. The garden was of beauty and the man and woman had no flaws, pimples or wrinkles. All had been made in perfection, like that of it's creator. Then entered evil, sin....despair. Once evil came into the garden and the lives of Adam and Eve, their world (and ours) changed. While here in S.C. we still see the beauty of God's creation. 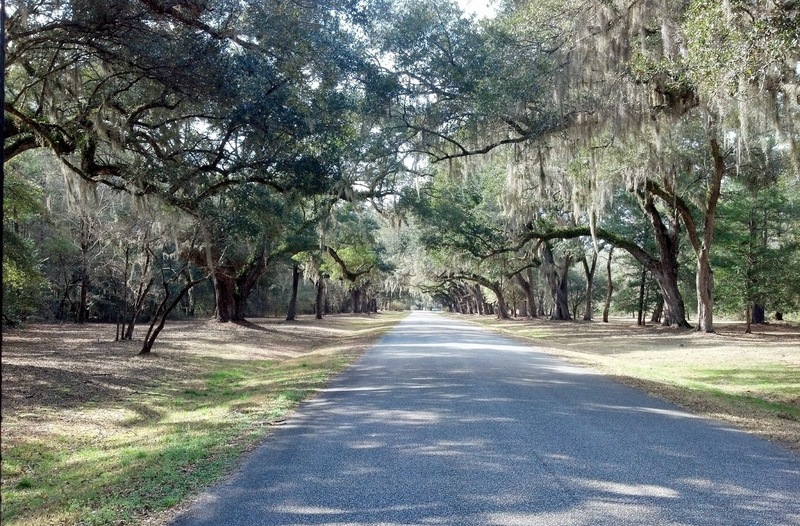 We have seen some of the beautiful Live Oaks with the moss hanging low. The Mepkin Abbey's entrance is one of those places. The trees show their grandeur and beauty, shadowing the driveway entrance. But the ice storm entered, causing havoc to many places of beauty here and dead branches are being pulled away to the street. Some of the trees are being cut away and now become firewood. Those trees are no more. What about us? When the ice storms, or evil, is in our life...what keeps us going? Do we pull away the dead branches of sin, asking forgiveness? Or are we cut down and used for firewood? The answer to that, my friend, is what is inside you. If you have the grace and mercy, that has been offered by our God, you will withstand the storms of life. But, if you do not have Jesus, your tree will be cut down and burned as firewood. It is simple. Stand tall, let the beauty of what Jesus has to offer show in your life. Get rid of those broken branches and ask forgiveness, let Him drag them out of your life. There is no sin, or branch, too big for God!